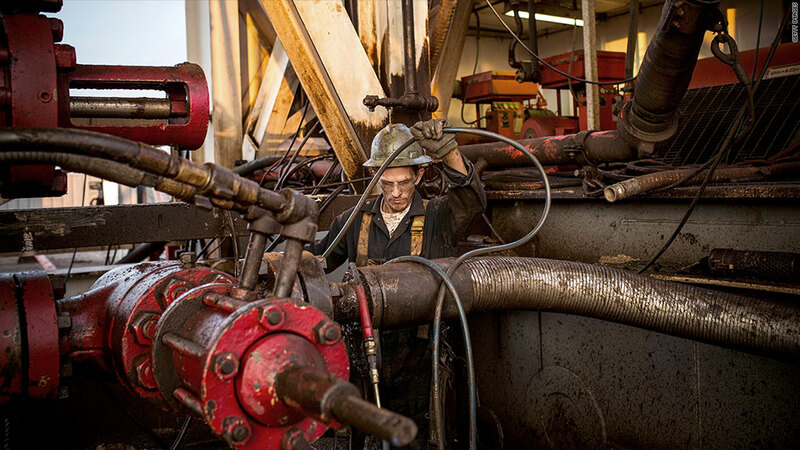 Thanks to the oil boom, North Dakota has thousands of jobs to fill. Looking for a job? North Dakota wants you. In a new recruiting campaign to be rolled out in May, the North Dakota Economic Development Foundation is aiming to fill more than 20,000 jobs -- ranging from truck drivers and oilfield workers to receptionists and food servers. North Dakota's huge oil boom has spurred thousands of job seekers to flock to the state for years now. In some cities, the population has quadrupled. Yet, the growth continues and companies are still so desperate for workers that the state is teaming up with oil giant Hess Corp. (HES) to launch an $800,000 campaign to attract new talent. "It is being developed to target people in states with chronic unemployment, and people in industries that are high-demand in North Dakota, including: engineering, healthcare, energy, skilled trades, transportation and information technology," the foundation said in a statement. The push will include a website, marketing efforts and recruiting events. The state is also trying to convince potential employees that North Dakota is not only a good place to get a job, but a great place to live, dubbing it the "Find the Good Life in North Dakota" campaign. But this could be a harder sell. Over the past few years, the flood of workers moving to the state -- specifically to the Northwest corner where oil activity is greatest -- has caused a severe housing shortage. In Williston, a town at the center of the boom, home prices have more than tripled and rent there is currently the highest in the nation, according to a new report from Apartment Guide, a website for finding apartment rentals. Even though many employees are now raking in six-figure salaries, they are essentially homeless, living in their cars in parking lots, in other peoples' basements, in RVs or even in churches. Along with a housing crunch, crime has skyrocketed, traffic is grueling, and local restaurants and retailers struggle to keep up with the surge in demand -- resulting in higher prices and longer waits. And, of course, there's always the below-freezing temperatures, with wind chills plunging under negative 50 during the winters.